The Uyghur, Tibetan and Southern Mongolian communities are scheduled to demonstrate in Brussels on October 18 – the opening day of the 12th ASEM (Asia-Europe) Summit. Rally organisers are calling on EU leaders to use this meeting to voice concerns about the deteriorating human rights situation in China, in particular for ethnic and religious groups. Over the past years, the Chinese government has further curtailed a wide range of fundamental human rights in Tibetan, Uyghur and Mongol populated areas, often in the name of security maintenance, ‘stability’ and national unity. According to human rights groups, Uyghurs, Tibetans and Mongolians in these regions are racially profiled, subjected to invasive forms of surveillance, and any expression of dissent has been equated with terrorism and harshly silenced. In turn, Dolkun Isa, the president of the World Uyghur Congress, said: “Uyghurs, Tibetans, Southern Mongolians and all those who call for their basic rights and freedoms in China are under attack. It is becoming an existential problem, as everything that makes us unique, our language, culture, religious beliefs and ethnic identity are being targeted in a systematic campaign of forced cultural assimilation”. As for the October 18 demonstration, it is being co-organised by the Unrepresented Nations and Peoples Organisation, the International Campaign for Tibet, the World Uyghur Congress and the Southern Mongolian Human Rights Information Centre. 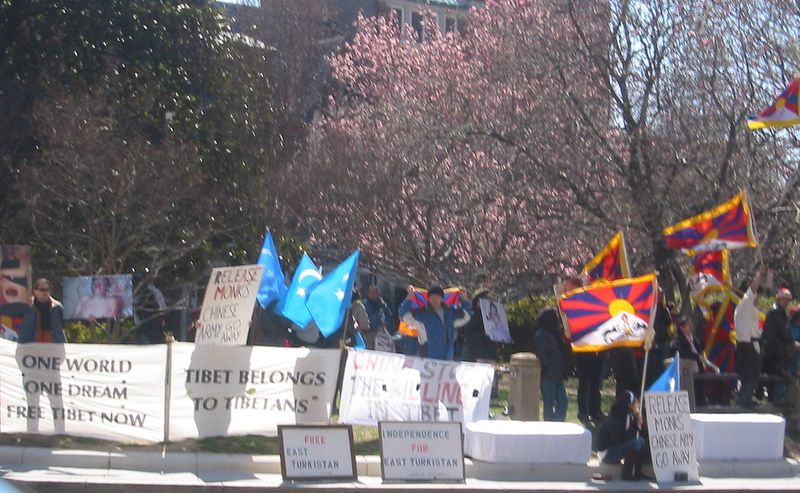 They will call on China to repeal or significantly amend laws, regulations, and other legal provisions that use security maintenance, including counter-terrorism, as a pretext to criminalise peaceful dissent and religious expression of ethnic and religious groups, including Muslim Uyghurs and Buddhist Tibetans and Mongolians. They will also call for a review of policies that discriminate against ethnic groups, such as the unlawful mass arbitrary detention of Uyghur in so-called “re-education centres” and for Chinese authorities to reveal the names, whereabouts and current status of those who have been subjected to enforced disappearance.